The cage is boarded up by all punched aluminium sheet (anti-aging, anti-rust, lightweight and beautiful) or punched steel sheet (stable). 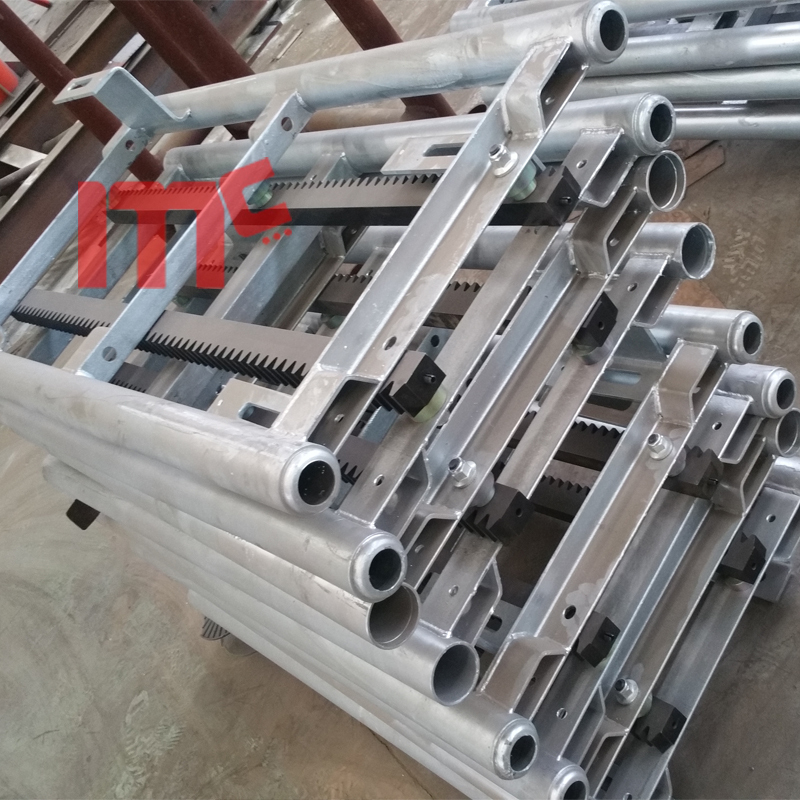 The main structure of cage is made of high quality steel after bending. 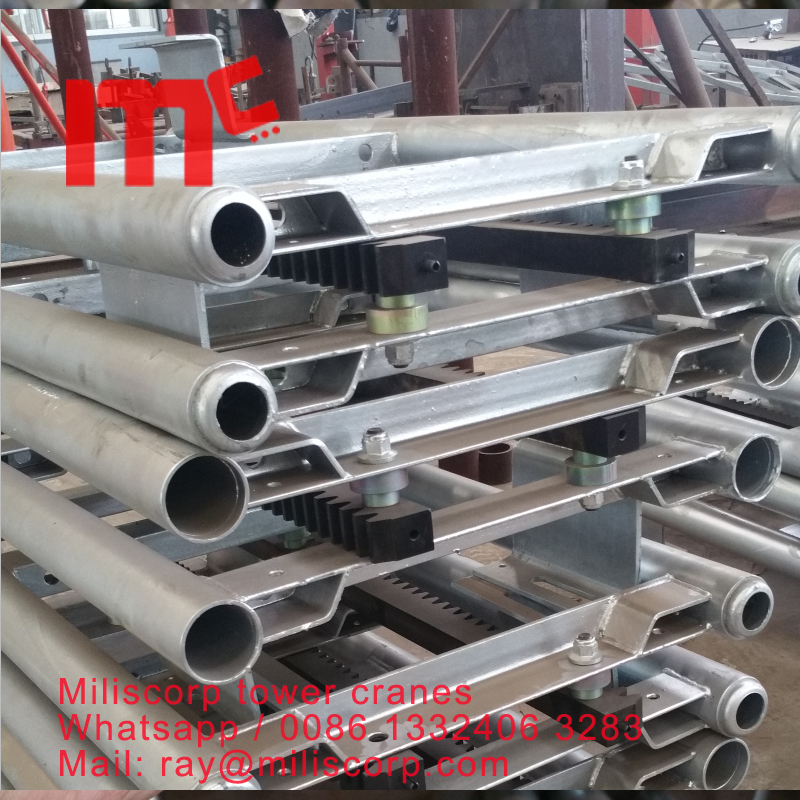 The bended steel is firm, stability, moreover it can ensure stability for the whole structure. 1. Bottom and roof of cage adopt trapezoidal frame. Bottom and the roof are full symmetry. firm, straight and balance in use. 4. Surface treatment: blasting, baking finished, galvanized. The cage can be customized according to customers' requirements (drawing, specifications and so on). The Mast section (color is variable) is made of seamless tube or HF welded tube. 1. Steel plates are bented of U-shape to strengthen the mast section. 2. Mast section with galvanized coat or heat spray coat can be chosen. 3. High quality steel plate Q345B bended by special machine: Thickness 4.5mm. (Thickness of 6mm or 8mm is also available). 1. Model: 40*60*1508mm, or 40*60*1483mm or OEM according to drawing or sample. C45 according to your requirement. 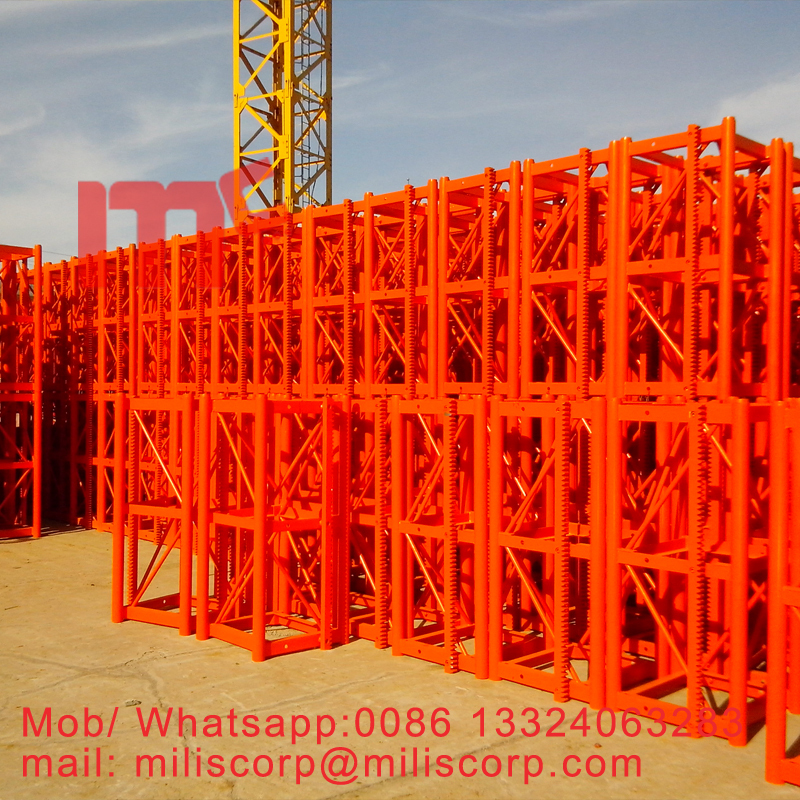 The rack can be customized according to customers' requirements (drawing, specifications and so on). Looking for ideal Split Mast Section Manufacturer & supplier ? We have a wide selection at great prices to help you get creative. All the Hoist Piece Mast Section are quality guaranteed. We are China Origin Factory of Passenger Lift Mast Section. If you have any question, please feel free to contact us.